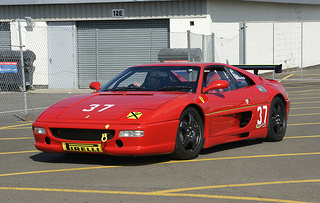 The Ferrari 348 Challenge sports car was a race Series for amateur drivers, first established in 1993. Ferrari offered an optional Challenge kit priced at $14,000 and, by using it, the original 348 could be transformed into the race version in the order of 60 man hours. 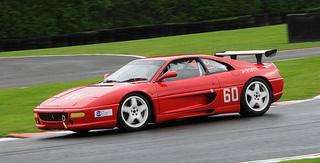 The 3.4 litre, V8 engine used in the Challenge Series, when converted, would develop an output of 320 bhp. 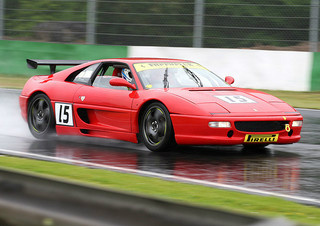 The 348 Challenge car's last season was in 1995, which coincided with the launch of the 355 Challenge variant. 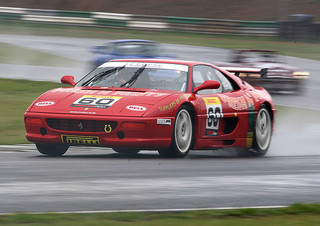 The Ferrari 355 Challenge car consisted of a basic 355 Berlinetta 3.5 litre coupe that had been modified using a Challenge kit costing $30,000, and supplied by Ferrari. These kits first became available in 1996, and the conversion required 110 man hours to fully install. The early cars came with the roll cage mounting points already fitted by the factory. Between 1996 and 1997, the 355 Challenge cars came factory fitted with a steady increase in race parts until, in 1998, the final evolution variant was available as an almost complete factory assembled race car. However, some parts still needed to be added, such as the wings. A total of 108 of the 355 Challenge cars were built, and fitted with six speed gearboxes, together with a plaque at the rear denoting "355 Challenge". A small number of right hand drive variants were exported to the UK where they were further modified into race trim. It has been suggested that a handful of these cars have subsequently been converted into road-going variants. 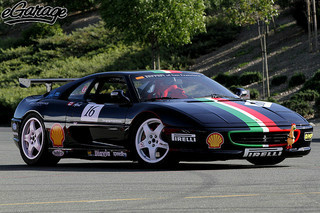 Since a Ferrari 355 Challenge car is not easy to find, this will be reflected in the price. An excellent example would sell at auction within the range $70,000 to $90,000. This is another of the classic cars from Ferrari.